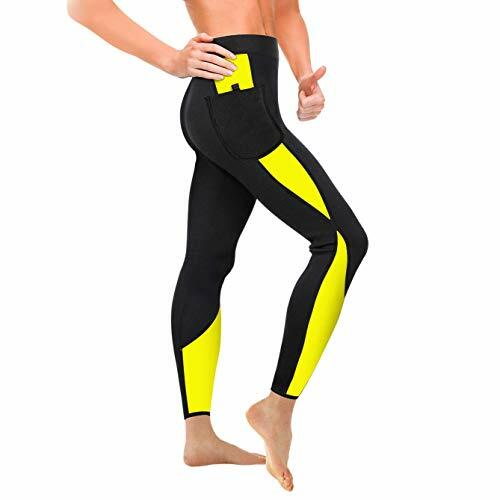 Gotoly Neoprene weight loss pants slimming pants body shaper workout pants for women tips. Allow you to do all kind of exercises from jumping to running to lifting weights. Smell: It's normal for the smell of the new product, please hand wash or hang it to air dry for the smell free before weaing. Reminder:This pants run a bit small, if you have big thighs,suggest to go a size up. 100% SATISFIED CUSTOMER SERVICE-- For Whatever Question,please contact us first &We will solve your request ,return or refund is available,will make you 100% satisfaction .